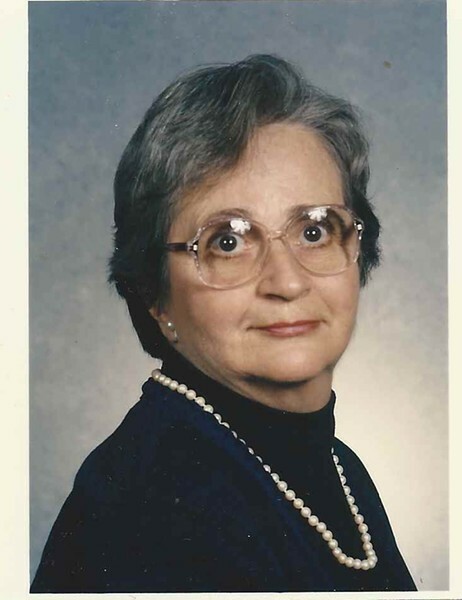 Elizabeth (Liz) Tracy Eaton passed away Saturday, July 20, 2013 at Pillsbury North Assisted Living Residence in South Burlington in the company of loving family. She was 82. Elizabeth, or Mammie as she was lovingly known to her grandchildren and great-grandchildren, was born to Muriel (Richards) Tracy and Gordon Stone Tracy on July 17, 1931 in New Haven, Conn. Elizabeth graduated from the Hillhouse High School in New Haven in 1949 and received her bachelor’s degree in music and child development from the University of Connecticut in 1953. She married Chester C. Eaton Jr. on November 27, 1954. They lived in Parkersburg, W.Va., until relocating to Montpelier, Vt., and finally to South Burlington. At the time she met her husband, she was the director of the YWCA Teen Program. She left her career to raise their two children. Elizabeth was a member of the First Congregational Church in Burlington, Vt., where she was also a member and past director of the Austin Hand-bell Choir. She was a member of the Chapter D PEO Sisterhood, the Brewer Parkway Neighborhood Home Demonstration (Home Den), and the Brewer Parkway Book Group. Aside from her grandchildren and great-grandchildren, one of her greatest loves was playing the piano and organ. She was an accomplished organist. While attending the University of Connecticut she played the organ at various churches during the summers. She was well known for her sense of humor and her love of her friends. She had a deep appreciation for music, especially symphonies and religious music. It played throughout the house all day long. Elizabeth is survived by her daughter, Martha Burroughs, and her husband, Glen Burroughs, of Williston, Vt.; and her son, Robert Eaton, and his wife, Ann, of South Burlington. She is also survived by four grandchildren, Nikole Manatt and her husband Daniel Manatt of Bethesda, Md. ; Joshua Burroughs and his wife Anna of St. Albans, Vt.; and Duncan and Jeremiah Eaton of South Burlington, Vt.; four great-grandchildren, Ali, Luke and Catie Manatt, and Anya Neill, and one more on the way. Liz is also survived by her brother, John Tracy, of Westbury, N.Y.; a very dear sister-in-law, Shirley Eaton of N.H. and Fla.; many nieces, nephews, great-nieces and great-nephews; and many dear friends. She is predeceased by her parents, husband, and brother Richard Tracy. The family would like to thank Dr. Jennifer Gilwee of Aescupulis-FAHC and the entire staff of Pillsbury North for their dedication, love and support. A memorial service was held at the First Congregational Church in Burlington on Friday, July 26, 2013, at 11 a.m. A brief reception was held immediately following the service. Burial will be at the convenience of the family. There will be no visiting hours. In lieu of flowers, the family requests donations to the American Cancer Society, VT Division, Inc., 55 Day Lane, Williston, VT 05495. Arrangements are with the LaVigne Funeral Home and Cremation Service, 132 Main St. in Winooski, Vt.